The Palouse (/pəˈluːs/ pə-looss) is a region of the northwestern United States encompassing parts of southeastern Washington, north central Idaho and, by some definitions, parts of northeast Oregon. The region is unique in character, well suited for agriculture, and is also known as one of the “Seven Wonders of Washington State.” A broader view of the Palouse region can be found by travelling the The Palouse Scenic Byway. When it comes to Appaloosas, the Palouse region and surrounding area is home to some of the finest representations of the Appaloosa breed. 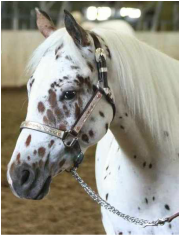 The Palouse Empire Appaloosa Club is proud to support exhibitors, owners, and tradesmen that further the breed. 2019 Show forms coming soon! See the show page!